Some of the best chefs in the world rate the Fleur de Sel (literally flower of salt) from the idyllic Ile de Ré in Région Poitou-Charentes on France’s Atlantic Coast as the best in the world. So, one fine day, we went in search of this much prized condiment. 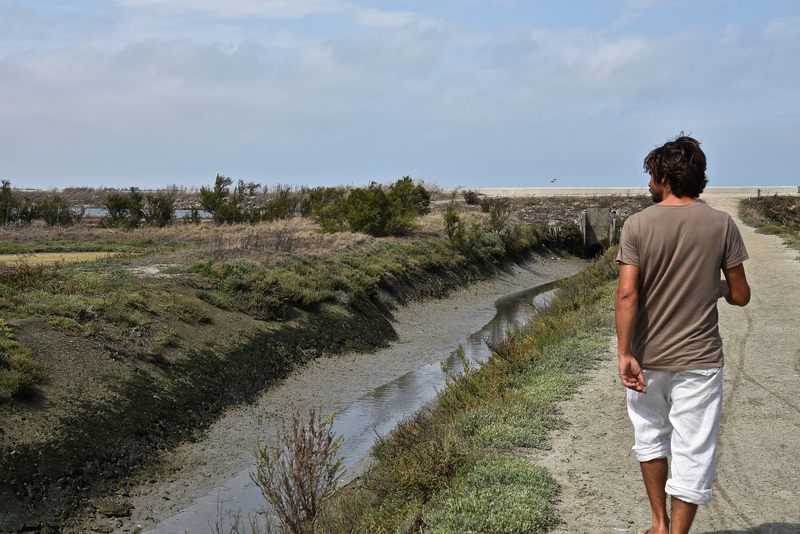 We met up with Brice Cottonnier, a modern day “saunier” who works the salt pans and walked us through the process of dams, dykes and inlets that temper the sea’s might to provide a safe haven for salt production. It’s quite a physical life – taming the sea, and the best salt can only be harvested as the sun shines – rain just dilutes the grains. 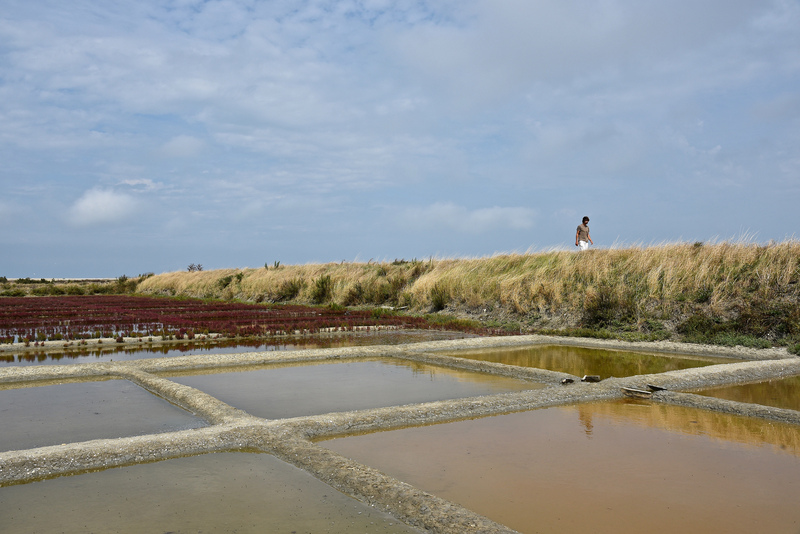 Salt has been produced to the north of the island since the 13th century, introduced by Cisterian monks. Before refrigeration, when meat had to be salted for longevity, salt production was big business and reached its peak in the 19th century with the island accounting for around 32,000 tonnes of salt harvested by hand during the summer months. Salt was a highly prized commodity and has been since Roman times when soldiers were paid in part with salt – hence the phrases, worth one’s salt and worth his weight in salt. 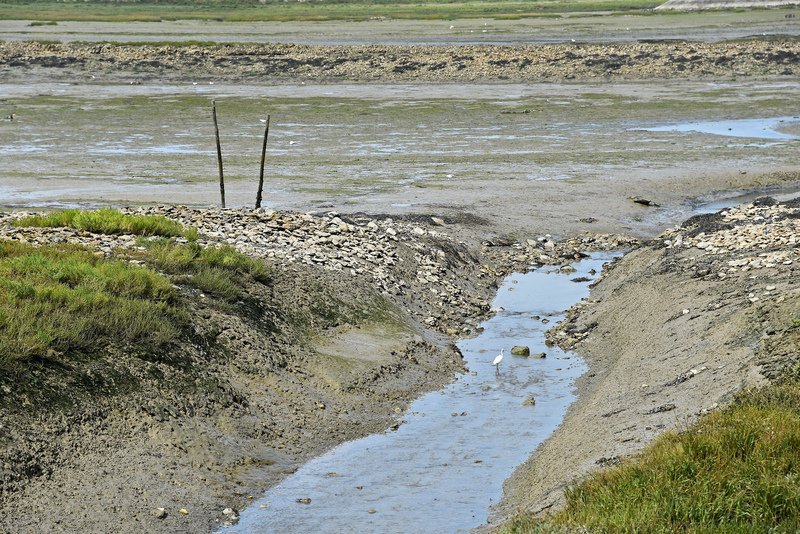 Post refrigeration, there was a downturn in demand and many of the island’s salt pans were adjusted for oyster production – that is, until the 1990’s when artisanal salt production began again. 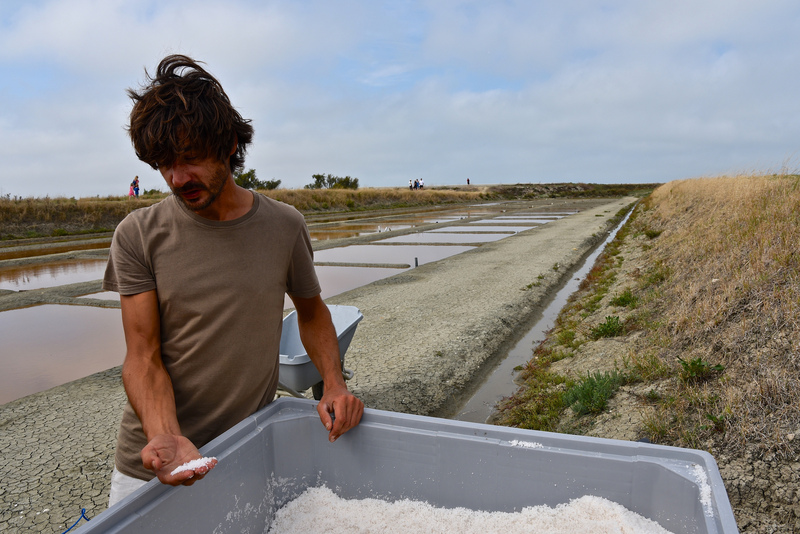 Today 60 sauniers provide between 2 – 3,000 tonnes of salt per year – carefully skimming off the best salt (Fleur du Sel) from the surface by hand in the traditional manner as the sun dries the salt in the summer months. 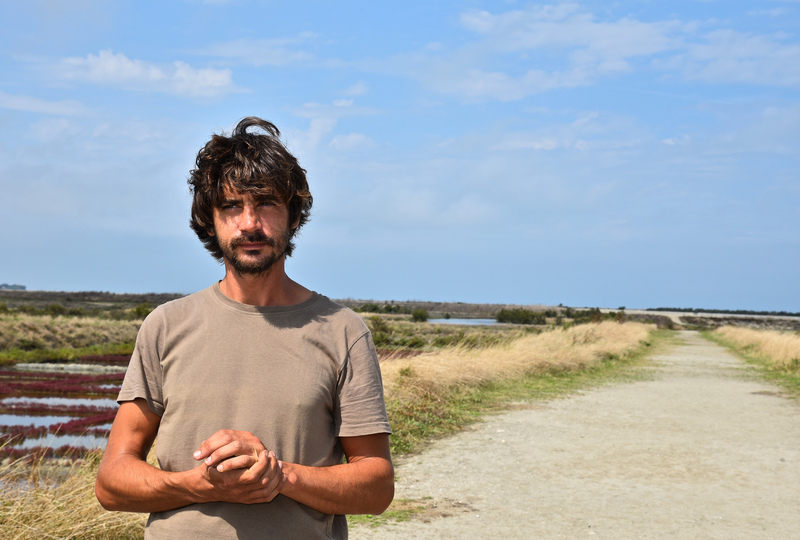 Brice is keen on eco-production and counts the abundant wild-life he sees every day as he toils on the land as a perk of the job – and from the many bird species that I spied during my brief visit, I could see what he meant. 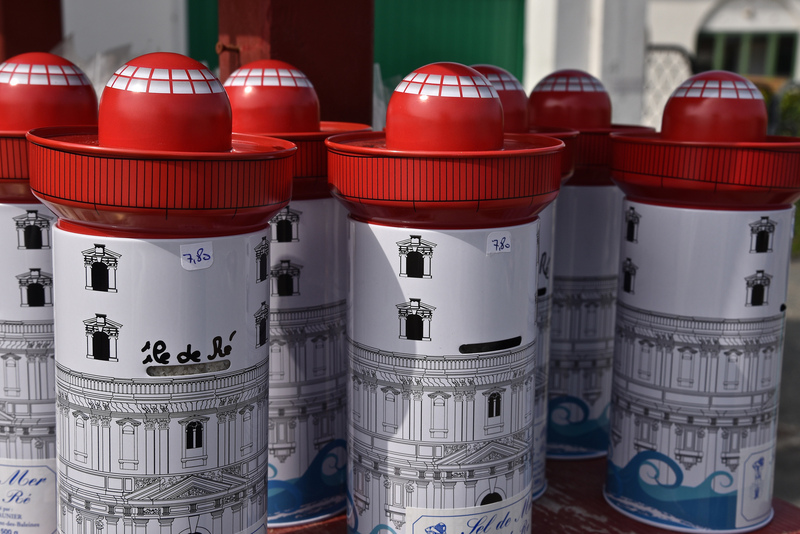 You can buy packets of salt in all different containers – some beautifully hand-crafted, others, well, just fun – right across the island. The light crystals have a delicate flavour and a high mineral content, making the perfect finishing salt. And another use for this “flower”? As a main ingredient in everyone’s favourite chocolates – salted caramels. Mmmmm, delicious. The perfect gift, don’t you think? Sue travelled over to the Ile d Ré courtesy of her client, Région Poitou-Charentes. Follow them on social media – twitter @PoitouCharentes.